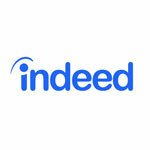 Indeed today unveiled its new salaries search tool in the UK. Indeed Salaries provides job seekers and businesses with unprecedented insight into salary data from Indeed’s global database, comprising over 300 million salary data points and growing. Indeed Salaries uses actual data and estimates from employees, users and past and present job advertisements to calculate an average for each job listing by region on a weekly basis. The tool can be accessed directly from Indeed’s homepage and the data also appears in job search results and Indeed’s company pages. Salary research is an important part of any job search, particularly given that salary details are not always included in a job description. Jobseekers use salary data at every stage of the job search process from initial career exploration, when deciding where to apply, right through to negotiating a benefits package once a job offer has been made. Indeed research reveals that compensation is the number one motivator when moving roles. 60% of employed candidates surveyed claimed pay would most attract them to a new job during their search. In fact, almost one in ten (9%) of employed job candidates have declined a job offer due to poor pay and compensation. Employers require salary data to understand current industry standards and regional variance, benchmark against competitors and for use in job ads to help source the best pool of talent. Salary transparency practices in job advertising vary significantly among countries, and can have a strong impact on the quantity and quality of job applications. Indeed data shows that UK employers who include salary data in their job posting gain a five per cent increase in applications from the most relevant candidates. “Our research shows that including salary data in job ads significantly increases applications from the most relevant job candidates,” commented Bill Richards, UK Managing Director at global jobsite Indeed.